The Bible is the white man’s religion. 70 Europeans went into Africa and 1,000,000 Europeans came out. British and Americans are true Israel. These are blatant lies that have been pushed by Gentiles that have been deceived by the false teachings of British-Israelism. These lies are still pushed in order to represent a Eurocentric view of scripture, when in reality, the Bible is Afrocentric. Let’s start by setting the scene. Let’s start with the basic facts that we know and believe based on both geography and the Bible. Moses was born and raised in Egypt. Egyptians descend from Ham, as do Ethiopians, Cushites, Sudanese, and most other African nations. Even though this fact is accepted by theologians, we are still told by many white conservative Christians that “the Egyptians weren’t black.” Conservative Christians intentionally cast white actors in African and Arab roles in order to continue pushing their agenda of deception. This is what we call INTELLECTUAL DISHONESTY… or WILLFUL IGNORANCE. 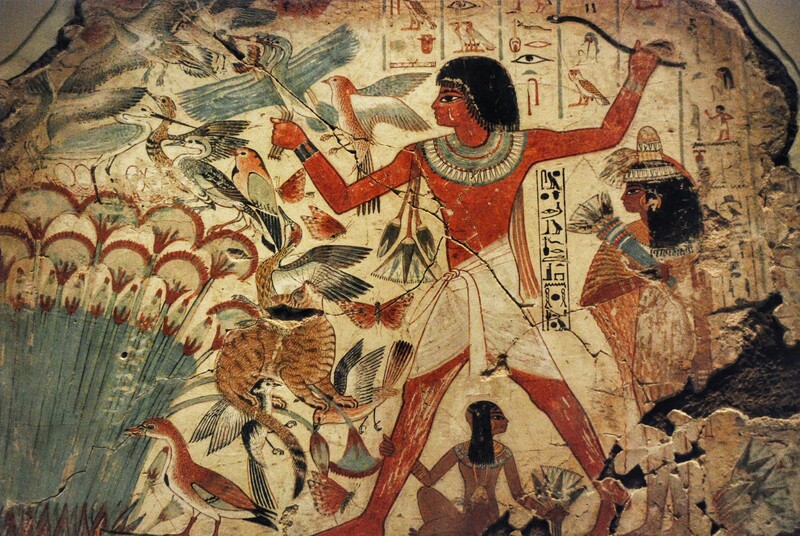 Egyptians depicted themselves as black people. Egypt is located in Africa. 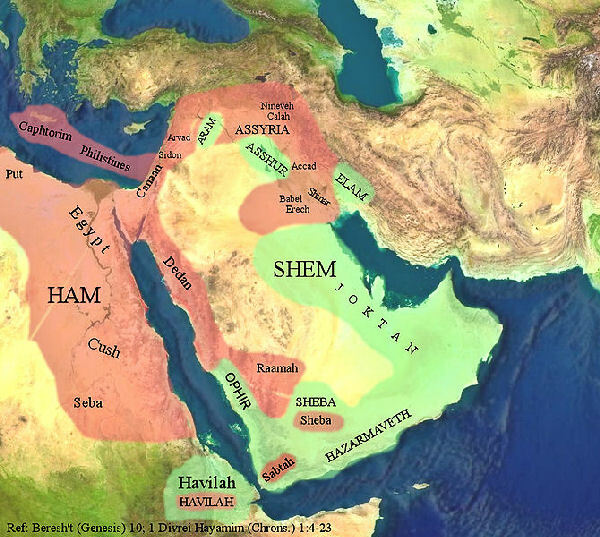 Egypt is called “The Land of Ham” in the Bible. These are Biblical truths that believers have no choice but to agree on. 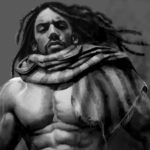 Intellectual dishonesty or just the desire to spread deception are the only possible explanations for continuing to teach that people living in Africa and mixing with Africans weren’t black… especially after many conservative Christians will freely admit that black Africans originated with Ham. The Map above shows how much territory the children of Ham settled after people began to spread out across the earth. In the area of Babel we notice that it is completely red. That’s because Nimrod, a Cushite descendant of Ham, built the area. In fact, we see that huge portions of areas important to the Bible were founded by Hamites. For those not familiar with units of counting in the past, a “score” equals 20. The Bible tells us that Judah took Canaanite women (Tamar and the daughter of Shuah) for himself and his sons, which means that from the very beginning, the lineage of Judah had African blood in it. These 70 Israelites that went into Africa began having more children until they turned into a nation large enough to be a threat to Pharoah, which is where the story of Moses begins. Anyone looking at the scriptures with a critical eye can’t help but notice that God does not instruct anyone to go to Europe on any occasion, nor does he call any of his chosen people out of any European nations. Once again, these are the facts of the Bible. Why would God send Europeans to Africa to establish them as a nation? 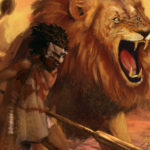 Where did the Israelites find wives and husbands in Africa? Could Europeans spend 400 years laboring in the African sun? How was it possible to Hebrews to mix with Hamites an remain white? So far, Moses does not have a name yet, and doesn’t get one until he is found by Pharaoh’s daughter. At this point, Moses’ sister Miriam comes out of hiding, and Pharaoh’s daughter sends her to find a Hebrew woman to nurse him. Miriam naturally gets her mother and Pharaoh’s daughter PAYS MOSES’ MOTHER TO RAISE HIM (Exodus 2:9). As we can see, it is the daughter of Pharaoh that gave Moses his name, and it is his African name that has stuck throughout history. Another point to note is that even though his mother was the one that raised, him, she never named him, even though the story says, “and the child grew”. While we aren’t given an exact age, it does appear that Moses didn’t have an officially recorded name until after he was no longer being nursed by his mother Jochebed. One African belief system that has become of interest to some people in the black community is Kemet. In short, it is based around Egyptian wisdom, gods, rituals, etc. Moses was trained in all the ways of Kemet and yet he was called out of Kemet to follow the God of Abraham, Isaac, and Jacob. Moses spoke Egyptian and Hebrew. Moses learned to read and write in Egypt. Moses was familiar with Egyptian religion. Moses was familiar with Egyptian customs. It is important to fully understand how embedded Moses was in Egyptian culture and way of life. In every respect, he was living an Egyptian way of life. 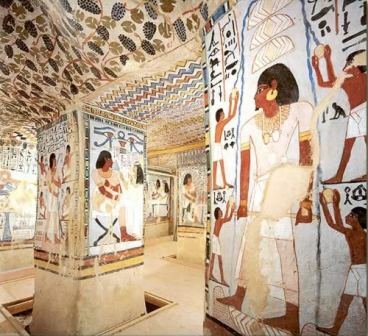 It is also very likely that he didn’t live in Goshen with the rest of his people in his early years, but in the palace of Pharaoh, complete with all the privileges of Egyptian royalty. Why wasn’t Moses born in Europe? Why was Moses taught African wisdom? Why wasn’t Moses taught European wisdom? We get a glimpse of Moses princely status in the Old Testament, but it is in the New Testament that we find out that Moses was known as the son of Pharaoh’s daughter. However, when he became old enough to do so, he rejected his African royal status to join his own people. Pharaoh was king of Egypt, which meant that his daughter was a princess, and her sons would be considered princes of Egypt (just like the movie). Under the right circumstances, Moses could’ve become a Pharaoh, but he chose to reject his status. This is going to bring us to some very important observations. According to the book of Hebrews, Moses rejected his position as the son of Pharaoh’s daughter. Unlike his Hebrew brothers and sisters, Moses didn’t seem to be subjected to the labors of slavery and injustice that they had to endure. Conservative Christians that hate when rich black celebrities like Kaepernick speak up on behalf black people, are often the same people that hold Moses up as a hero, even though he went above and beyond what any rich athlete has done. Conservative Christians often say that because a black athlete is rich, it must mean they’ve never endured, witnessed, or can’t see the obvious problem with police in America, but will often praise Moses for doing what he did. After murdering the Egyptian officer, Moses hid the body. This is a very significant event because this was completely out of character for Moses. We often think of Moses as a brave man for standing up against police brutality, but the Bible tells us that Moses was “very meek” and “slow of speech”. Moses was not a brave man nor was he a bully. If he was alive today he’d probably labeled “soft”. However, what he saw happening to his people at the hands of the Egyptian police caused him to snap. In one instance he went from being “very meek” to a cold blooded killer with a mission. Moses timed the murder when he thought no one would see it. Moses hid the body in the sand hoping no one would find it. While the story reveals a lot about Moses and how strongly he felt about the unjust circumstances of his people, it reveals something else very obscure… Moses was against Hebrew on Hebrew (black on black) violence. Moses acted perfectly normal the next day when he believed the murder was a secret, but upon discovering it was known, he became a fugitive from the law. 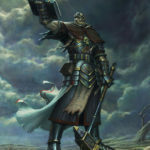 The fact is that God saw that the Egyptians had legalized evil against his people, just like America has done to the descendants of Hebrews in America… and not only did God view it as wrong, but he put his FULL SUPPORT behind Moses in order to free his people and cripple the nation that had done wrong to his people. But before we get to God and Moses’ conspiracy to overthrow Egypt and free his people, Moses first had to escape from Egypt into Midian. Egyptians could tell the difference between themselves and Hebrews (Exodus 1). 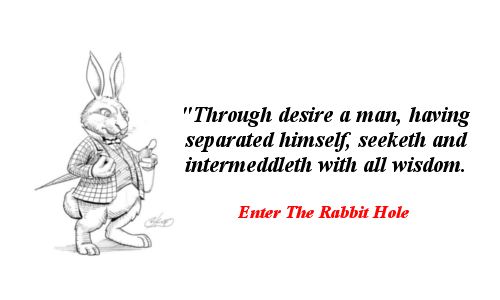 Hebrews could tell the difference between themselves and Egyptians (Exodus 2:12). As we can see, Moses being mistaken for an Egyptian was not an isolated incident. 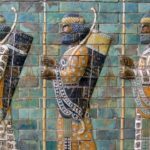 In the ancient past, Hebrews were indistinguishable from Egyptians to other nations, even into the time of Paul (1st century AD), and the above four examples prove this point. This also brings us to another modern day problem of people that can’t tell black people apart. 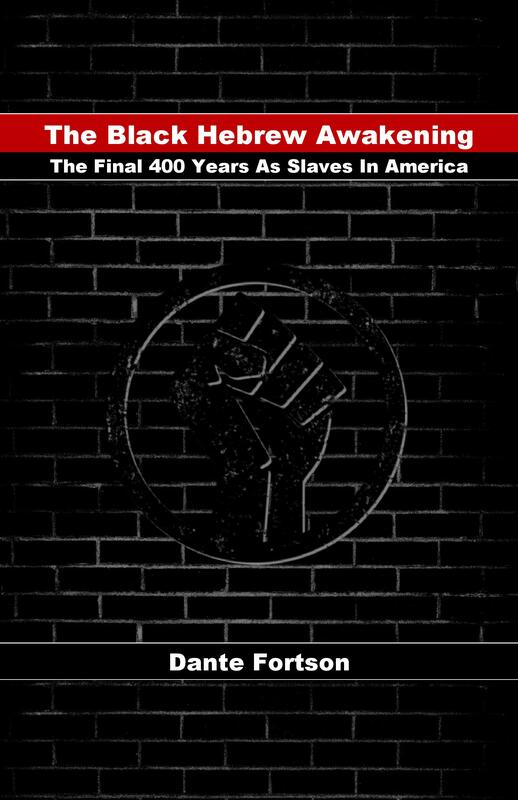 White people often categorize all black nations as “black people” and lump everyone into the same category, especially when it comes to slavery. They will differentiate Irish from German and Scottish, but will refer to Egyptians, Ethiopians, and black Americans as “black people”. They can’t tell the difference between a Jamaican, a Hatian, and a Hebrew, so they fail to make the connection when they try to defend slavery by saying, “black people enslaved black people”. Why was Moses mistaken for an Egyptian? 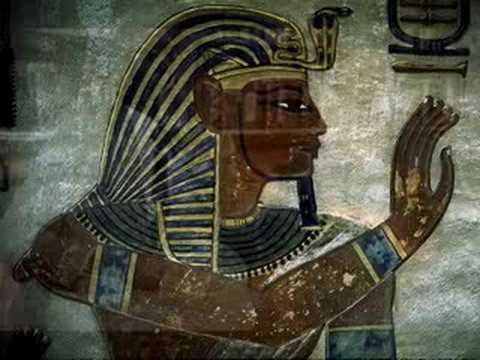 What color did the Egyptians depict themselves as? As we can see with our own eyes, one change is drastic and the other is meh… but this isn’t necessarily proof. However, if God wanted to make a drastic display of his power, instantly turning a black man into a white man would be huge. If God turned Moses’ arm white, what color was it before? Why would white skin be considered a sign from God in Africa? Additional Note: This was the 2nd sign that was supposed to be more convincing than Moses’ rod turning into a serpent. The notion that God was turning white skin white, in Africa, as a powerful sign, just doesn’t make sense. This also points to the fact that Moses was a black man. 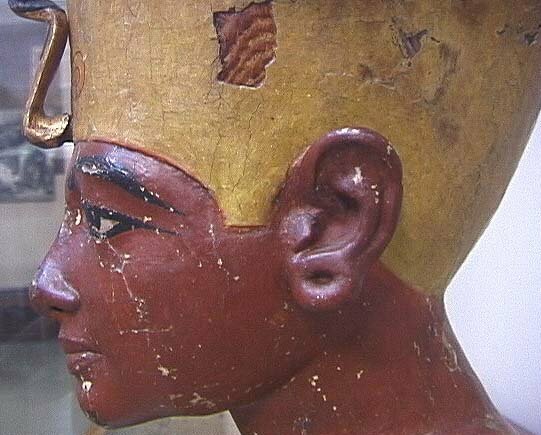 Those that deny that Egyptians were black, also fail to understand that in black culture, we accept all shades of brown skin as “black”. From very dark to albino, we accept them as black. In fact, for those not in the know, the following picture represents the various skin tones that identify as being black and are accepted by other black people as being black. This was God’s response to Miriam and Aaron confronting Moses about his marriage to a Cushite (Ethiopian) woman (we’ll come back to this). Miriam’s curse only lasted a week, but I personally believe it was to teach her and us a lesson about race and discrimination based on skin color (my personal opinion). Because of this, Miriam was considered “unclean” and forced to live separate from the congregation until her white skin returned to normal. While Miriam’s situation was temporary, Elisha cursed Gehazi and his descendants to have white skin forever. 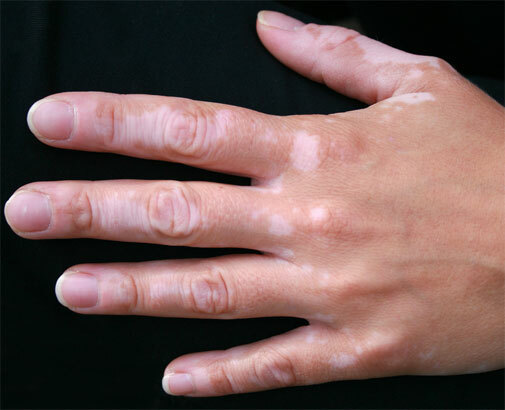 In order to put this into modern context, it’s important to note that many people believe that “leprosy” was an all encompassing term to describe the disease, as well as Vitiligo and Albinism. Additional Note: The above does not mean that all white people or albinos are cursed. It is only used to demonstrate that a black person being turned white was both a sign from God, and used as a visual curse upon those that defied God and his prophets. Being born white is not a curse. Why was skin being turned white considered bad? If Gehazi was cursed to be white, what color was he before? Ethiopian (Strong’s #3569) – Kushi: a Cushite, or descendant of Cush — Cushi, Cushite, Ethiopian(-s). Cushites are black descendants of Noah’s son Ham. As mentioned above, God not only defended this marriage, but turned Miriam’s skin white because she opened her mouth in opposition to it. While this fact doesn’t prove that Moses was a person of color, it is just one of many examples of interracial marriage in the Bible… even if someone takes the position that the Hebrews were white or European. It wasn’t until hundreds of years after the founding of Christianity, that Moses started being depicted as white. Prior to this, Moses was depicted as black all over the world. 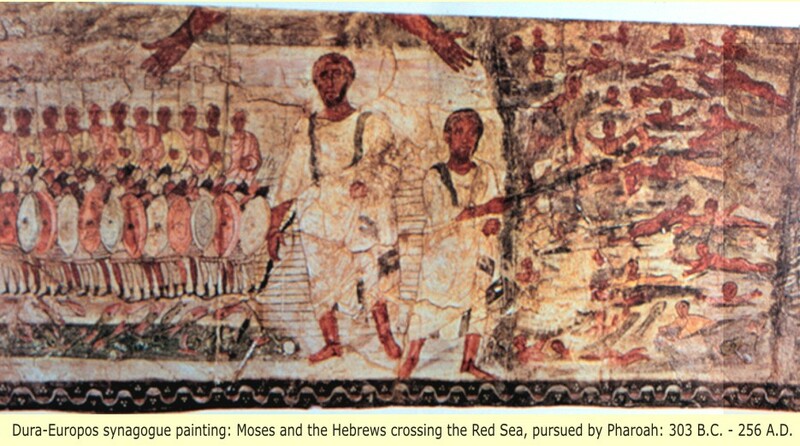 The first picture was made prior to 265 A.D in Dura-Europos (located in Syria), and shows a black Moses with a small afro. 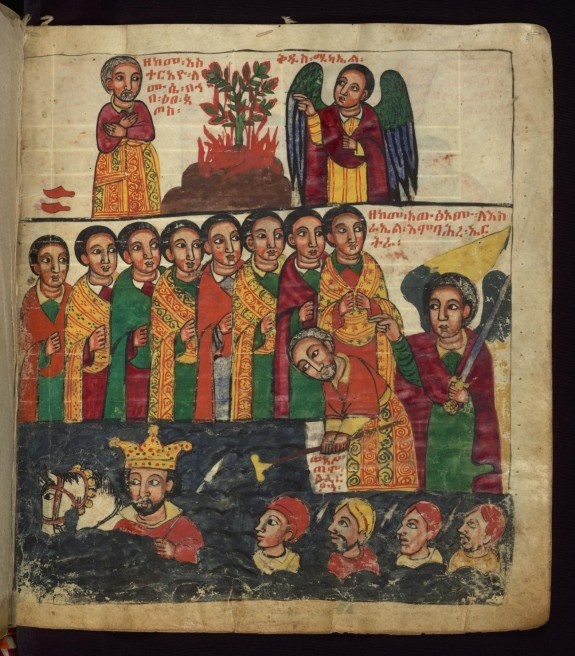 The second picture is of Ethiopian origin and is consistent with all of their depictions of black people, and also shows Moses with an Afro. When we take an intellectually honest look at all of the evidence, we see that Moses was not white, Middle Easter, olive or any other color people come up with in order to avoid the obvious. Moses was a black man, born and raised in Africa, he spoke and read Egyptian, and was in line to become a Pharaoh. These facts, along with the oldest depictions of Moses, tells us that we’ve been lied to for a very long time about the Bible and it’s origins. Tagged Did Moses Live In Africa?, Did Moses Look Like An Egyptian?, Is Moses An Egyptian Name?, Moses Family, Moses Had Black Skin, Moses Mistaken For An Egyptian, Moses Prince of Egypt, Moses Spoke Egyptian, Moses Was A Black Man, Moses Was Raised As An African, Moses Was The Son of An African Woman, Paintings of Black Moses, Pictures of Black Moses, The Ethnicity of Moses, Was Moses Black?, What Color Was Moses Skin, What Ethnicity Was Moses?, What Happened To Moses?, What Race Was Moses?, What Skin Color Was Moses?, Why Was Moses Mistaken For An Egyptian? Hi, thanks for what you are doing to enlighten many of us. l asked a question earlier but still waiting for a response. 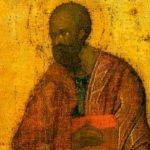 lf Moses was brown/dark-skinned, why would Miriam have a problem with him marrying an Ethiopian woman? Kindly reply. 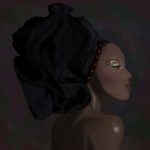 Colorism, personal dislike, etc. There are many reasons why she could’ve had a problem with the woman, but the Bible doesn’t say. It’s no different than how some of our people act toward our own. Thank you for another great lesson, was using my Bible to confirm the lesson as I was reading, I love this research stuff….. All Praises to the MOST HIGH for blessing you to do His will. As a dark, but white woman who is very familiar with the Bible, this line of thinking makes complete sense to me. Personally, I love it when some of my fellow Gentiles are pushed beyond their abilities to accept all people regardless of color, and what’s more, to be persuaded with logic that, YES, Moses must have been black! How else would he have survived in Egypt?? There simply is no other explanation. Because of my darkness (many people believe I am Hispanic or Native American), I have suffered some discrimination in my lifetime, but not as much as others. Why do people behave this way? It shouldn’t matter what color we are–we are all children of a loving God who wants to see us all succeed and be happy, but unfortunately this world is full of trials that we are required to endure and rise above. Until people the world over teach their children not only to accept those outside of their comfort zone, but to welcome them, prejudice will always exist. How thankful I am for a mother who taught me that God loves EVERYONE! Anxiously awaiting the time when the Lord returns to make everything right. Thanks for taking the time to share this insightful information. Typo! Please consider replacing were’nt with were. Alternatively, replace white with black. Moses was a black man! yes so did his Wife and the Jewish faith people came from Africa but G-D allows conversion from all colors and all nations G-D indeed wants the whole world to be Jewish Shabbat Shalom. Your website appears to have a conflict of information. It says the following re where Moses was born. Moses was born in Africa, raised by Africans, trained in African wisdom, and was mistaken for a descendant of Ham… and yet he’s still depicted as white in the vast majority of pictures that we see. Unfortunately, this lie has prevailed for centuries. But it’s not the fault of the Bible. It’s the fault of those of us that choose not to read the Bible close enough to see that we’ve been lied to. Then it says Moses was born in Egypt. Let’s start with the basic facts that we know and believe based on both geography and the Bible. Moses was born and raised in Egypt. Egyptians descend from Ham, as do Ethiopians, Cushites, Sudanese, and most other African nations. Even though this fact is accepted by theologians, we are still told that “the Egyptians weren’t black.” This is what we call INTELLECTUAL DISHONESTY… or WILLFUL IGNORANCE. So where was Moses actually born? I’m not sure where you think Egypt is, but here is a map to help. 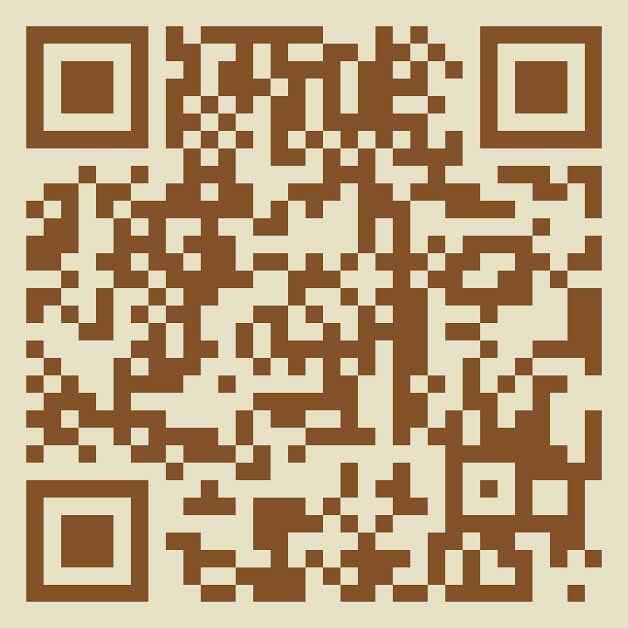 Let me know where the conflict of information is. The Akans of Ghana have the same names as the Egyptians. There are major similarities between us and the Egyptians. Even when God told Moses to go to the Pharaoh he told him to say Ehyeh Asher Ehyeh which means it is as it is and also several definitions in Akan language. It wouldn’t make sense if Moses would speak to Pharaoh in a different language other than Akan language. The Hebrews also married into the Egyptians as well since about 70 came into Egypt and a lot more came out. Plus Solomon marrying an Egyptian and other intermarriages that happened between the Egyptians and Hebrews. I even saw an image of the Ashanti with the priestly breast plate called ephod. It can be easily found on google. But my question is if perhaps the akans are Egyptians due to a lot of the Pharoahs identical and common today Akan names then how come we suffered the curses of Israel such as being taken away in ships during slavery? And if we are Egyptians then how come the British came to enslave us? And also most of the people in Jamaica are from Ghana, (Akan and other ethnic groups but mostly Akan). My question is who are the Akans and where do they come from. Are they Israelites or Ham descendants but we suffered the curses too. 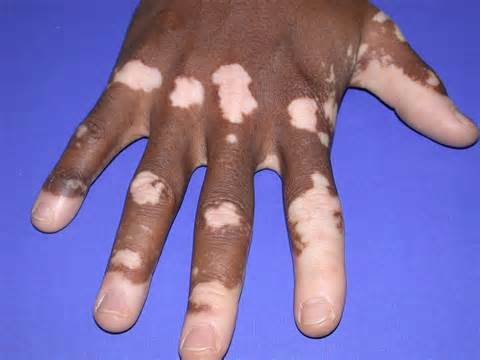 May I ask why you are using pictures of hands with vitiligo as representations of leprosy? The two conditions are not the same thing. You may want to do some deeper research into the three different kinds of “leprosy” in the Bible. The clean kind seems to describe vitiligo and albinism. The unclean kind describes actual leprosy. Your view of world history is very limited and biased. Lot’s of countries have been greater than those two. It’s 100% based on opinion. Furthermore, you are taking the statement 100% out of context. Lots of nations have become “many nations” and lots of nations have been “great”, which is a reference to both size and power. America and Britain are Gentile nations that have committed numerous atrocities across the globe. There is a reason that these two countries are hated, and it has nothing to do with God. These nations constantly commit acts of evil, while pushing out propaganda to play the victim. We also know that the Hebrews were not white because they mixed with Africans. Please do some reading of history and the Bible. This info is in our Bible…KJV as well as a bunch of others. The doubters are going to try and debunk, which is OK. The entire Bible has been attacked since the beginning. If I were white and I wanted to blend in, I’d find a society of people who look like me. If Moses were white in the midst of Black folks, surely someone would have noticed and commented on that. They didn’t…What color the folks who did this great work should be of no relevance whatsoever. It is now only because there has been a conscious and deliberate attempt over time to rewrite history. Every would- be nation since time began has tried it. One battle…two totally different accounts…history becomes muddled unless you start to connect dots that you know are true. I was told as a child that Ethiopians were mixed with some white people until I met my Ethiopian aunt who just happened to be part of the Royal Selassie lineage. Surprise! Surprise! Surprise!!! Historians lie…leaders lie. Can you imagine what our textbooks would look like had the Nazis won WWII? Art? Science? Reality can be contrived…for awhile…but when the TRUTH comes out…it suddenly makes sense…and bears witness within the human spirit! The attempt to demonize humans into little ugly boxes is not new. They try to equate certain groups with animals which are clearly lower beings. If you raise a dog among ducks, try as he might, when it comes time for that dog to bark…he is not going to quack!! ok? All humans are created in the likeness of God…all have capabilities of despair and greatness. Some have greater or more numerous abilities than others, but God knows why He placed each of us here, and He knows what the real TRUTH is! Haters, doubters…you have no chance in hell of success with you anti-life messages and campaigns!